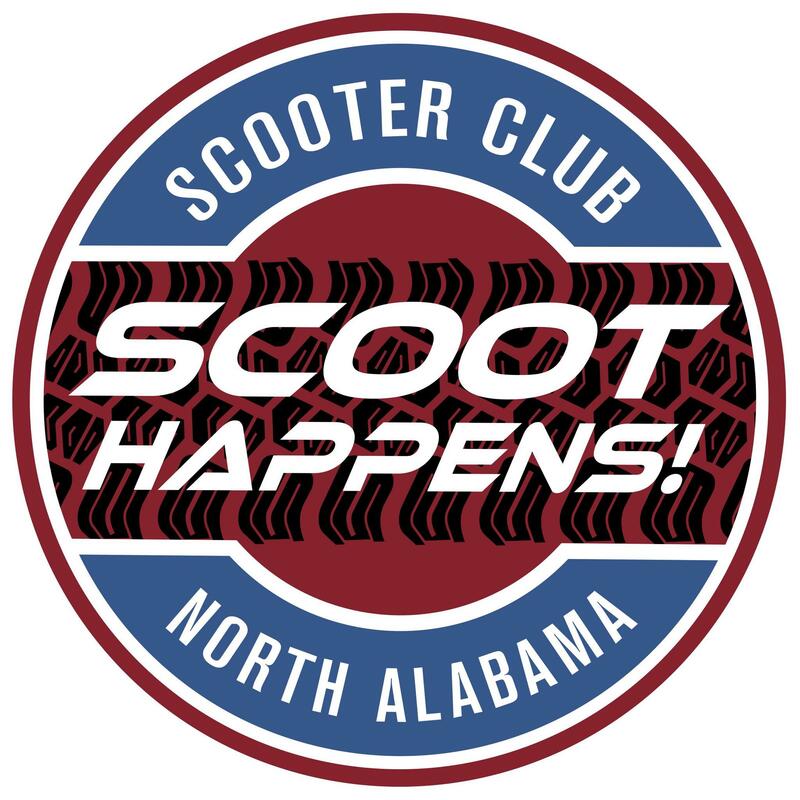 Scoot Happens, North Alabama Scooter Club will be hosting a group ride to and tour of the Barbers Motorsports museum in Birmingham. We will be meeting up with Birmingham’s scooter club for a tour of the museum, ride through the city, and some great BBQ. Anyone is welcome to attend the ride… as long as you have 3 wheels or less (you are welcome to drive in a car and meet up with the group at the museum). – *11am Meetup with Birmingham scooter club at Barbers Motorsports and tour. Click the Facebook Event to let us know if your coming here. And we have a LOGO!!!! 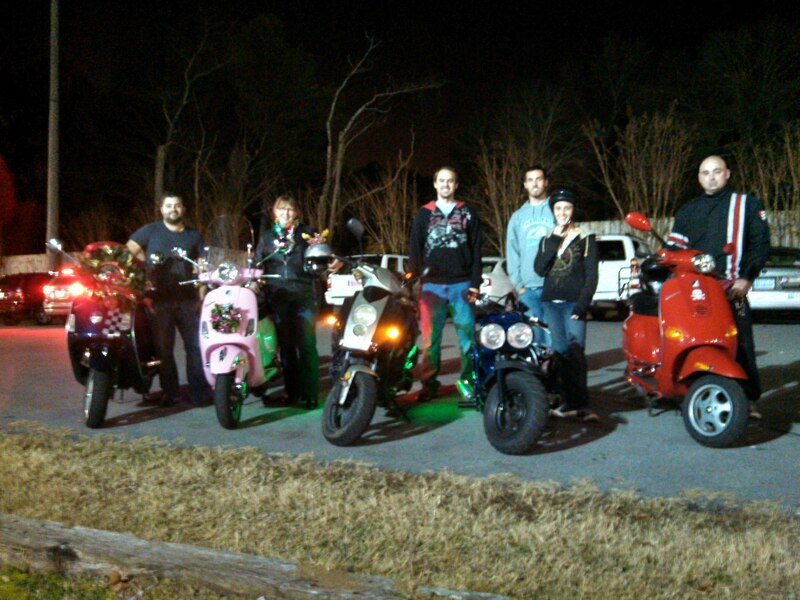 Scooter Ride with friends and family through the Huntsville Galaxy of lights. We will meet up at Olde Town Coffee Shop or Jamo’s depending on what everyone wants. Although they wont give us a group rate (only for buses) the price per vehicle (I know, i asked already) is $19 with a can food donation. Bring loved one’s, friends, or people you tricked into riding in the cold. As many as you can fit on your scoot is covered under the $19. Those who want can decorate their scooters for the event, ribbons bows, lights…If you are coming or even thinking of coming please comment on the event page on Facebook so we can figure out the logistics. Scooter ride this Saturday 10/6 to and from Below the radar Brewing Company at 5:30pm. Need suggestions for a group ride, comment on Facebook or Google plus to give say.